Dr Imran Awan is an Associate Professor of Criminology and Deputy Director of the Centre for Applied Criminology at Birmingham City University. Imran’s research examines the impact of Islamophobia, anti-Muslim hate crime and security upon Muslim communities. His recent publications include examining online Islamophobia. Imran’s new book is due out this year, which examines Islamophobia on the Internet. 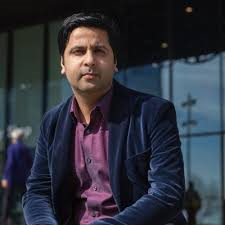 Imran has also commentated on major news related issues affecting the Muslim community for BBC Midlands Today, ITV Central News, Al Jazeera English and Channel 4 News, to name but a few. He has also written a number of articles in the area of hate crime, terrorism and security for the Guardian, Al Jazeera, the Pakistan Express Tribune Newspaper, the Huffington Post, the Independent and the New Statesman. Dr Imran Awan has been appointed, as an independent member of the Government’s Cross Working Group on Anti-Muslim hatred, based in the Department for Communities and Local Government. Imran’s role is to act as an advisor to Government on anti-Muslim hatred related issues. The Government’s Cross Working Group was set up by the Deputy Prime Minister. Imran’s contributions to education were recognised when he was shortlisted for the “Services to Education” award at the British Muslim Awards 2016 and won the BCU Researcher of the Year Award in 2017.